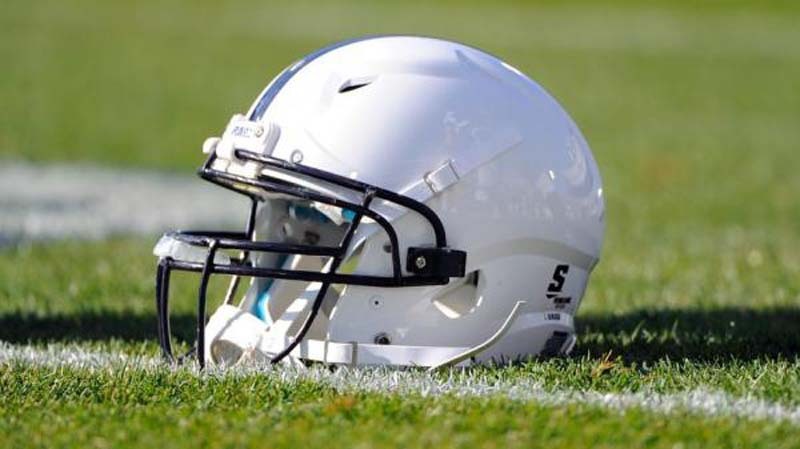 A suspect accused of stabbing former Penn State walk-on quarterback Sean Schellenger turned himself in to police late Friday, according to a report. [post_ads]Schellenger, who played with the Nittany Lions in 1999 and 2000, was murdered on a Philadelphia street during a traffic dispute this week. Philly.com reported that Schellenger was pronounced dead Thursday night after being stabbed in the back multiple times and that the suspect is in custody. Schellenger and two others got out of a car and tried to get another vehicle to move out of their way. An argument started after a cyclist rode by, followed by a physical altercation. According to a police report, the cyclist took a knife out of his backpack, stabbed Schellenger in the back, and then left the scene of the incident. Schellenger, a real-estate developer, was scheduled to be inducted into his high school's sports hall of fame this fall in Coatesville, Pa.